This is an awesome product from Prvi Partizan. 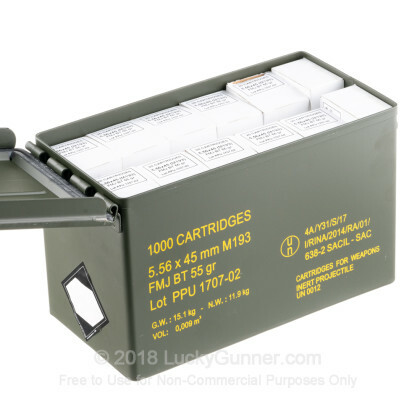 This military grade ammo can as packed full of 1000 rounds of PPU 5.56x45mm ammo. The 55 grain full metal jacket boat-tail ammo in non-corrosive brass cases matches the NATO spec for M193 ammunition. 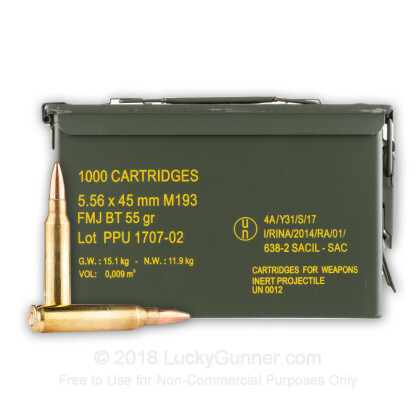 M193 ammo is used by NATO military units for training purposes and does not contain the 'steel penetrator' component of the bullet's relative the M855. 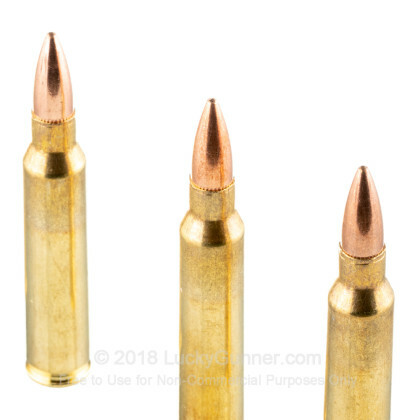 The M193 round was the first to be adopted by NATO troops for the AR-15 platform and is closely based on the 55 grain FMJ-BT version of the .223 Remington cartridge. The M193 was chosen by NATO over the 7.62x51mm NATO as it produces far less recoil for the modern lightweight service rifles they began to use in the mid 20th century. 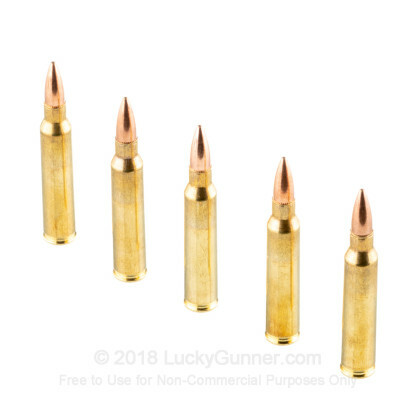 The success of the 5.56x45mm cartridge has been immense, and the ammunition and firearms industry has not developed a cartridge to unseat it as the most practical and popular rifle cartridge since that time. Prvi Partizan ammo is made in Serbia and its name is derived from the Yugoslav Partisans who led the resistance against the Axis in then German-occupied Yugoslavia. The Partisans, the Soviet Red Army, and the Bulgarian People's Army rallied together to force the German Wehrmacht to cede control and retreat from Belgrade, which was then the capital of the Kingdom of Yugoslavia. The Prvi Partizan fabrika was the name of the Resistance's ammunition works, and the name was retained when the operations moved to Uzice, where PPU operates today. We don't have any reviews yet for this particular 5.56x45mm ammo from Prvi Partizan. 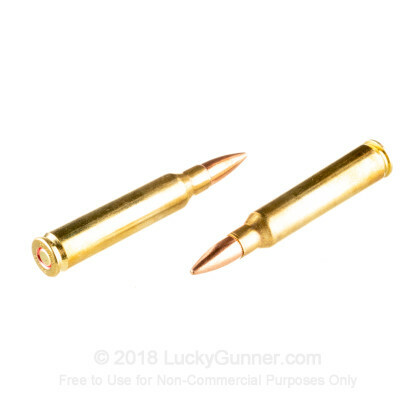 If you'd like to be the first to review this particular 5.56x45mm ammo from Prvi Partizan, fill out the form below.